Listening to slowthai from the comfort of a home compared to seeing him live are two very different experiences. The rambunctious rapper is known to strip down to his boxers and socks while seeking out timid fans in the audience to shout his lyrics at, bringing a new visceral level to his already hardened lyrics. 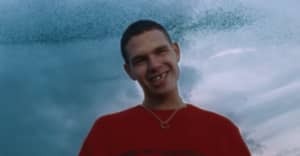 Ahead of his album Nothing Great About Britain, which is slated for 2019, slowthai stopped by The FADER to give his take on idolizing other people, or, rather, why one shouldn't do so, the moment he realized his song "T N Biscuits" could take off, and the hunger pains that inspired him to really take music seriously.